Tom Brady, quarterback for the New England Patriots is a champion; apparently he is able to play with deflated balls and still come out a winner. He is successful, has a beautiful wife who a lot of men would give up their overinflated balls for, and has two beautiful sons and a daughter blessed with good genes. In spite of his alleged deflated balls, Brady has been able to wow sports fans with his extraordinary passes, smart plays, and multiple record- breaking wins. Are weak balls good or bad? Physicists say that deflating balls can slightly improve the grip, but at the same time can prove to be a disadvantage because the ball can decelerate faster when you throw it. On Super Bowl Sunday, sports fans around the world will be able to decide for themselves whether weak balls are an advantage or disadvantage when Barack Hussein Obama once again makes an intrusive Super Bowl appearance for an interview with NBC’s Savannah Guthrie. Guthrie’s husband, Michael Feldman is a former Democratic political adviser and served as Vice President Al Gore’s traveling chief of staff during the 2000 presidential campaign. It should prove to be an unbiased interview not to be missed! The ill-timed interview will probably include the usual soft ball questions like, have you replaced your retired pastry chef yet or, has your golf game improved any after six years? There is one thing for sure though, the Bergdahl desertion that resulted in the death of six of our troops and subsequent release from GITMO of five senior Taliban commanders, or the $11.9 BILLION dollars Barack is handing over to Iran to curb (wink wink) their nuclear weapons program will never be mentioned. After all, tough questions like those would remind too many Americans that the deflated balls Barack uses to run his FORWARD passes for America are not only anemic, but foreign made …shrunken balls that had better be inflated to regulation size soon or we are all in trouble. Are there any advantages resulting from Obama’s deflated balls? Sure. American taxpayers do not have to pay to jet John Fonda Kerry around the world because no one wants to deal with a country whose leader has weak balls and chews nicotine gum so his wife does not beat him up. The other advantage is the adrenaline ‘high’ Super Bowl fans will receive while participating in the ‘Extreme Sport’ of getting off their couches during the game to violently wag porky, infidel hot dogs at the television set while calling ball-less Barack a no- good, tyrannical, Muslim. Once Obama learns to ‘lead like he means it’, perhaps he too might get over five million hits on Youtube in one week, bolster his poll numbers, and not have to hide behind his wife’s fat free melons. Britain’s Oxford University Press recently asked a children’s author to avoid mentioning anything pig, sausage or pork related, due to their global audience. I guess I better hurry up and buy several copies of Animal Farm by British author George Orwell! How else will my grandchild learn what it means when I say the American government is made up of a bunch of pork driven pig’s who should be made into sausage? Our pigs on Capitol Hill are impacting the entire world with their relatively new US tax code, the Foreign Account Tax Compliance Act, better known as FATCA, a tax nightmare that began with a law that has been on the books since the Civil War, citizen-based taxation (CBT). It is a law that states American citizens shall forever be liable for income taxation by the United States, wherever their money is made and wherever they live. According to the 14th Amendment of the United States Constitution, anyone born in the United States is a de facto US citizen regardless of whatever other citizenship they may hold in their lifetime. Therefore, anyone with a US birth certificate is forever taxable by the US, even if they have never lived there as a adult or earned any money there. CBT began with the intent to collect revenue from anyone who left America to avoid their military responsibilities. It’s punitive provisions require that people who receive no services from the USA, no payments from the US government, have no property, no investments, or no monetary ties, must file complex returns. In 2008, Obama signed the (HIRE) Act, “Hiring Incentives to Restore Employment, seemingly humanitarian legislation to help the veterans returning from Iraq and Afghanistan. Included in the legislation that no one bothered to read was how HIRE would be funded; FATCA (HR2847) would allow the US government to recoup money it was losing to overseas tax havens. The little known law went into effect last July 1st, 2014. 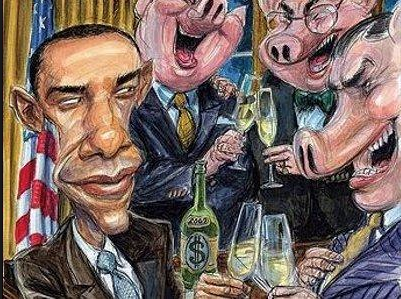 FATCA is one of the most piggy, arrogant and immoral pieces of legislation to ever emanate from the US capitol. All other nations on earth practice residence-based taxation (RBT). In addition, Intergovernmental Agreements (IGAs) now allow the US piggy bankers to break the once sacred privacy laws of the foreign countries in which the financial institutions are located. But, why did the Washington “FATCATs” enact FATCA for the measly 900 million or so annual dollars it collects? The FATCAT pigs real purpose was to clear the way for a global FATCA, informally known as GATCHA (A more fitting acronym would have been GOTCHA, but close enough) a new global standard where there will be an automatic exchange of financial information between governments, a permanent record of all your financial information available to be shared in an instant with local and global government agencies…and ultimately, the catalyst for the New World Order hog chow feast, a global tax. In Animal Farm, unlike the other animals, the pigs live in luxury and enjoy the benefits of the society they help control, showcasing the inequality and true hypocrisy of communism. “All animals are equal, but some animals are more equal than others.” The American people can easily identify with Animal Farm, for the president and many of our legislator’s are greedy pig’s, just like in the classic tale. There is an old Wall Street saying about excessive greed that affects your judgement; Bulls make money, bears make money, pigs get slaughtered. Pigs eventually lose, but let’s make sure. Forget the fences at our southern borders, forget wasting our farmer’s corn on ethanol, forget worrying about Muslims being appointed to high security positions. Fence off Washington D.C., feed the pigs some corn, scare the Muslims away…and with the help of the C.I.A. (Catch It All) our troubles will be over…..in hog heaven, as they say. Like a medicine man selling his annual snake-oil to the American people, Obama used the SOTUS and the help of his Marxist shills to once again sell his fraudulent goods. Just like any good play, the foundation was laid, the approach carefully prepared, the scheme exposed, the pay-offs made, the dénouement or crisis declared, and the corroboration set in motion. Obama’s dramatic monologue on Tuesday night to his audience of dulcet Democrats reached a frenzied climax when he revealed his dénouement for the year ahead, that climate change is America’s greatest threat. I was very relieved to learn that Mother Earth’s body heat is my biggest threat. Now I can stop polishing my gun and get back to those slow breathing Yoga exercises that will help reduce the carbon emissions that I am producing. Not only will I be saving the world, I will be getting physically fit, and then maybe Michelle Obama will stop spending my taxes on expensive choreographed “Sproutz” dance numbers that feature gays dressed up to look like broccoli. Such a naive statesman, that Kerry…even I know that you do not fight over water when you do not have a head. Those piles of bodies murdered by the Boko Haram jihadist’s are just dying to have their heads re-attached so they can fight over a gulp of water. 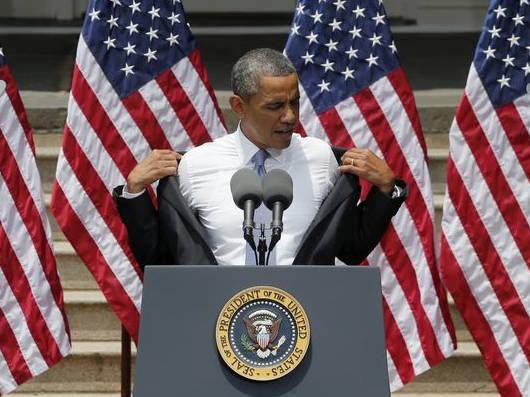 I can only imagine how our Commander-in-chief plans to rescue us from the threat of being too hot. Will the Pentagon start handing out free G-strings to keep us all safe and cool? If so, think of the gruesome ‘nuclear’ fallout from that! Walmart will become so R-rated that holy water will have to be offered at each entrance, Michelle will be exposing us all to who knows what…certainly some kind of unimaginable overflow coming out of her G-string, and Harry Reid will be sporting a government sponsored G-string in place of an eye patch, all the better to see us with. Oh, the horrors of climate change! As the Obama Monologues play out, members of the Flat Earth Society should be thankful and relieved that our government has got our back and has made the calamitous climate threat our number one priority. Whew. After all, no American wants to hear the Islamist terrorists who have set up camp in America shout “Allah Abracadabra” “I heat up, I can’t cool down” while chasing us with a Machete. John Fonda Kerry has done us proud again. 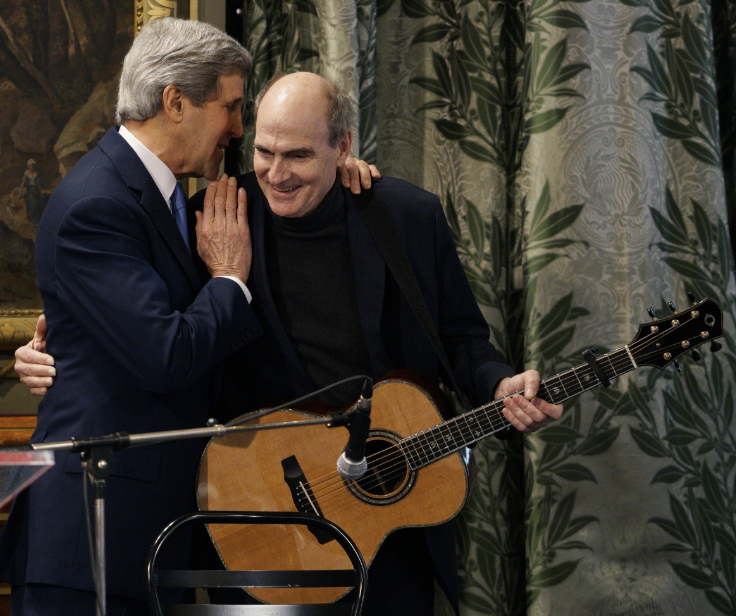 In an effort to apologize for Obama’s inept response to France’s call for solidarity, Kerry brought the White House minstrel to serenade the French with “We’ve Got a friend.” I am sure that struck a political chord with the sophisticated French. The French gave us the Statue of Liberty as a gift of friendship…we give them a box of Luv’s, Huggie’s, Pamper’s (figuratively speaking) and a musical performance. Kerry’s uncomfortable swaying back and forth during the love fest led most to believe that Kerry had also brought with him a box of Depends. Obama and his Secretary of State continue to embarrass the American people; two churning urns of burning political funk who now have their French allies saying, what a tacky, awkward ‘Faux pas’; neophyte napalm guaranteed to blow your mind! I wonder if the French are now humming the words to the 1976 song of the year, sung by Judy Collins, “Send in the Clowns?” The American people are. Je suis un lâche, Mr President? “The only force that can weaken us….is us.” mused Obama. Mr. President, please be careful when using the term “us” to explain America’s weakness. You, Mr. President, are the singular weak force that has brought a whole new meaning to the role of Commander-in-chief, a position once viewed with respect, but now looked at as nothing more than a cover-up for a guileless amateur masquerading as a leader. Christians refuse to accept and participate in your evil antics because their righteous Commander-in-chief is Jesus Christ, not some immature, egotistical pot head who happened to get elected because the Grand Old Party (GOP) is led by a bunch of insular ‘good old boy’ politicians who could not figure out how to outsmart the opposition, energize their base, and win the last two elections against a “Bucky Barack Beaver” circus star with a bright white Ipana smile. “Our politics are dysfunctional… societies don’t work if political factions take maximalist positions,” said Obama, who repeatedly claims to be a moderate stymied by the GOP’s supposed obstructionism and radicalism. Maximalist positions? GOP obstructionism and radicalism?…only in our fondest dreams Mr. President. Conservative Americans go to bed every night hoping and praying that the GOP leadership will grow some “character” and become our radical heroes in the fight to save America from her downward spiral into your “Grave New World”…but as they say, only in our dreams. “And the more diverse the country is, the less it can afford to take maximalist positions” …said you. Just what IS your position? Je suis un lâche, Mr President? 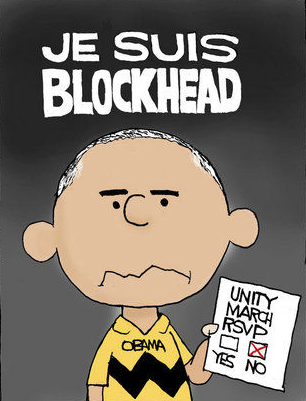 Je suis un lâche, “I am a coward,” a fitting description for a Commander-in-chief who does not hesitate to send our sons and daughters into dangerous battlefields, but is afraid to attend a well securitized rally in France with other world leaders. A president who cowardly hides behind atheists, gays, feminists, environmentalists, communists and Muslims to do his dirty work. A president who will never take a “maximalist” position because he is too used to assuming the “missionary” position. Je suis un lâche, Barack, we have you pegged, but we knew that all along. 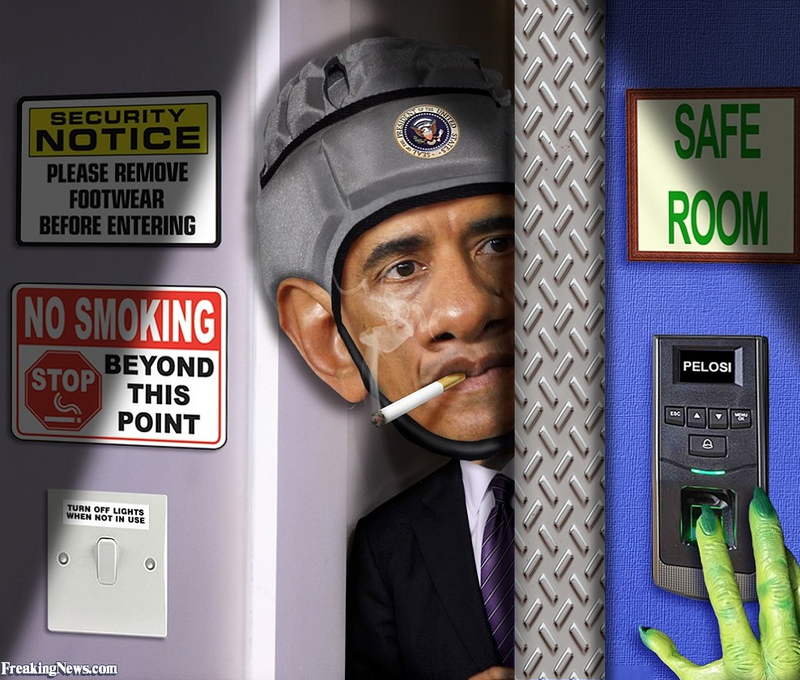 The only force that can weaken America is you, Mr. President. Fear is the condition of being afraid, either real or imagined. Fear can paralyze the mind, causing it to wither and cower like a flower starved for water. However, if fear is looked at from a virtuous and discerning eye, the emotional time bomb called fear can instead be used in a positive way to launch an explosive, life changing moment that can better life, rather than cripple it. We are now at a moment in history when fear is defining the future of America. It is a time when cowardly retreat is too often uttered, either directly or indirectly from the lips of our Commander-in-Chief, utterances that our Forefathers would have deemed treasonous. Economic hardship from debilitating legislation, mounting national debt, eco-terrorism targeting our farms, clandestine police state surveillance, the humiliating desecration of our time- honored military, the government’s disdain for the First and Second Amendments, the opening of our borders to people who prefer not to assimilate, and Obama’s transparent partiality toward Allah and not the one true God who founded this great nation, are indeed all things to fear, but will cowardice solve these problems? Our flag and everything it represents is being figuratively desecrated at the hands of those who detest the conservative values that helped America become the beacon of light for the world. Morally corrupt leaders speak for the politically correct few. Ethical standards are almost nonexistent; pride and profit the selfish motive, integrity and righteousness perceived deterrents to fame and success. America’s foundation was based on sacred honor, an honor based on honesty, unselfishness, and courage, courage that helped propel the ‘Home of the Brave’ to new heights. Where would America be without the heroism of George Washington? Where would America be without the unselfish courage of those brave men and women who love America and their freedom enough to give up their lives for it? Where would America be without the ordinary hard- working citizens who for generations have fueled the economy and taught their young to gratefully hold their hands over their hearts while singing the National Anthem? Obama’s ‘Brave New World’ is ironically often referred to by progressives as the era of hope and change, but to Americans who drink from the well of life, and not the well of fear and intimidation, Obama’s political world is a ‘Grave New World’ that must be stopped. 2015 will be the year that our children and grandchildren will refer to as the year the American people exemplified the lyrics in the “The Home of the Brave,” the year when the hearts and souls of American’s will embrace the ‘fear’ time bomb and lob it back at the enemy. 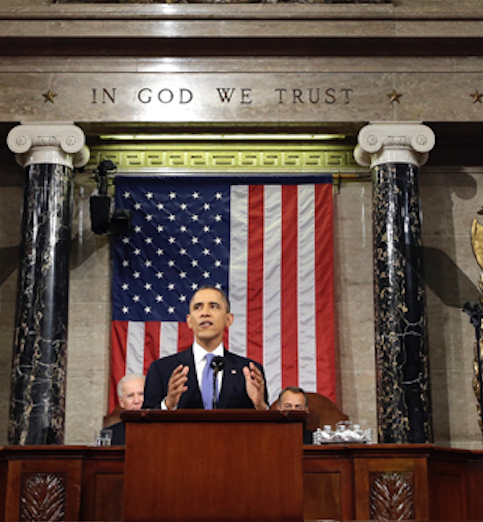 On Tuesday, January 20th, Obama will deliver his sixth State of the Union address. As we have learned from the past he will deliver more false promises; words spoken under a cornice engraved with the words “In God We Trust.” We the People” trust that in the coming year, God will strengthen the fearful, disgrace the arrogant, and once again allow America to flourish and shine under His righteous grace. Recently, the above photo popped up in my e-mail. 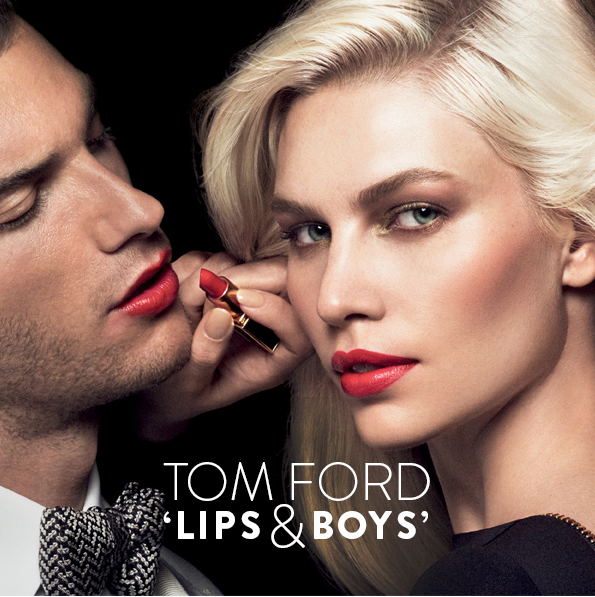 It depicts an ad from Nordstrum’s department store that showcases fashion designer Tom Ford’s latest lipstick line, ‘Lips and Boys’. Out of curiosity, I clicked on the provided link, thinking it had to be a marketing ploy to gain attention.Unfortunately, in ObamaWorld anything is a possibility and I soon discovered that ‘Lips and Boys’ was a new line of thirty-nine lipsticks filled with “rare and exotic ingredients” that produce an “incredibly smooth application.” Each lipstick is named after “characters” in Tom Ford’s life; Alasdhair, Blake, Casey, Cooper, Didier, Diego, Flynn, Francesco, Giacomo, Guillermo, Gustavo, Holden, Ian, Jack, James, John, Justin, Kyril, Leonardo, Liam, Luca, Luciano, Matthew, Olivier, Omar, Orlando, Pablo, Patrick, Pavlos, Peter, Preston, Rafael, Richard, Rory, Sebastian, Tomas, Wes, William and Xavier. I have no doubt that these “Boys” are quite the “slicky, sticky, studs” and are glowing with glossy pride that they now have a creamy lipstick named after them, but I have to wonder how many non-feminists want to wonder what “Sebastion” did to Tom Ford to earn the murcky brown color they would be spreading all over their lips. The good news is that at $32 a stick, not too many teens will be able to afford “Jack” plum. The bad news is that Disney World now has a host of new “exotic” names to pick from for their next bigender children’s flick. As we look forward to 2015, Obama’s hope for change will obviously continue to embrace political correctness and show up in our daily lives in unacceptable, reactionary ways. Aided and abetted by the media, slippery progressive politicians will continue to use their slick, loose lips to help sink our country. As we begin the new year, it is time to imagine lipsticks that would enhance and enable the lips of every conservative woman in America who is sick and tired of the lies that are compromising the futures of their children and Grandchildren. “Tight Lips,” lipsticks would surely bring a smile to all those sad, neglected lips that are clearly not being heard! Lipsticks with suggestive names like; Bye Bye Barack, Munchie Michelle, Banal Biden, Runny Reid, Putrid Pelosi, Ketchup Kerry, Hemorrhoid Hillary, Segregation Sharpton, Jaded Jarrett and Earful Earnest would certainly keep quiet lips well agitated; plumped, and ready to get the necessary conservative message across. A companion line of lipliners including, Macabre Muslim, Communist Red, and Devil’s Delight would also help get those conservative tight lips flapping as well! So this January 20th, while watching Barack’s sweaty shade of Teleprompter Taupe lips read the State of the Union Address, remember not to pout! Just pucker up in your best shade of Rebellious Red, gloss over with the shimmer of God’s spirit, and pledge to kiss the devil good-bye in 2015!